Kicking off with Oakshott news this week and my Scandi Love quilt in this month's Love Patchwork & Quilting magazine using their beautiful Scandinavia line where colours are shot with white. 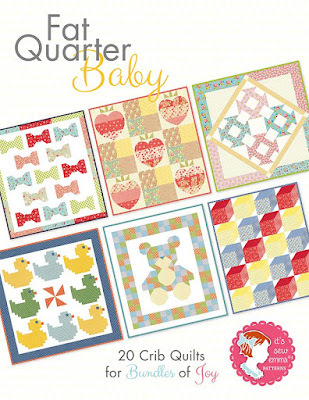 Fat Quarter Shop have just announced the newest addition to the It's Sew Emma family, Fat Quarter Baby! 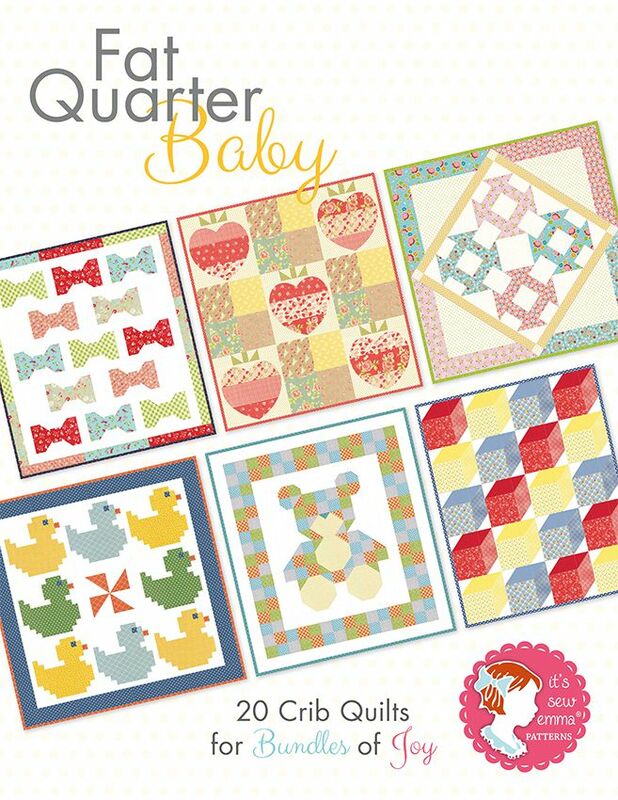 20 crib-sized quilts. Pre-order your copy today and receive 10% OFF the retail price. 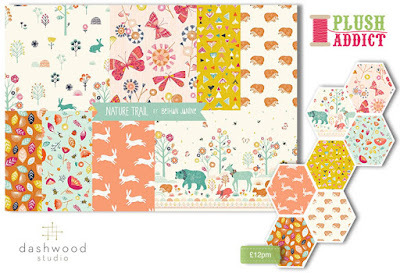 Tiger Lily by Heather Ross for Windham Fabrics has just arrived at Lady Belle Fabric. Available in fat quarter and half yard bundles and full yard bundles on request. Use code tigerlily at checkout to receive 10% off - code ends Tuesday August 25 end of day. To make room for newly arriving Christmas fabrics, Fabric Please! 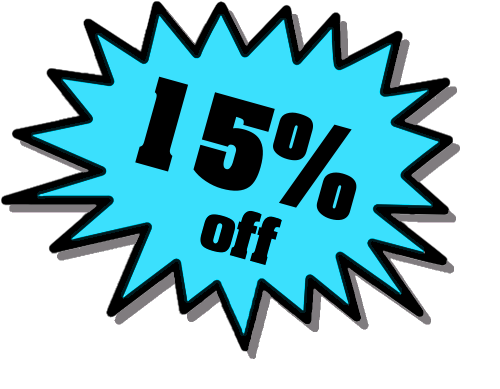 is offering a 15% discount on all in-stock Christmas fabric and pre-cuts. Use the coupon code "CHRISTMAS". Offer expires September 6th, 2015. 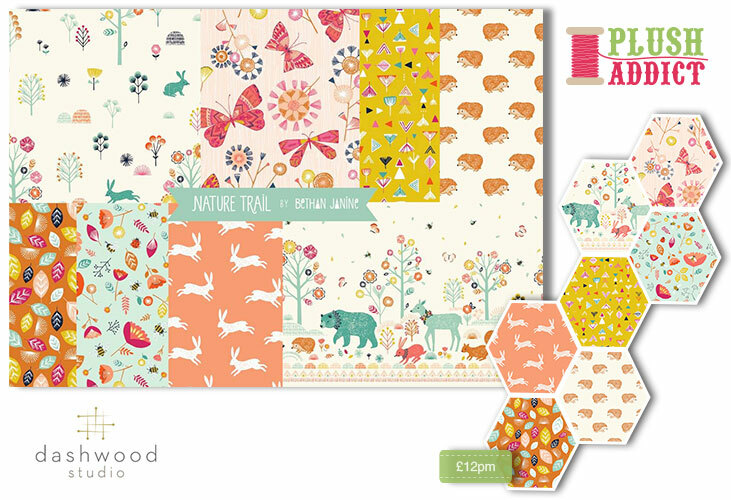 New in stock at Plush Addict is Dashwood Studio's Nature Trail - with the most gorgeous border print. 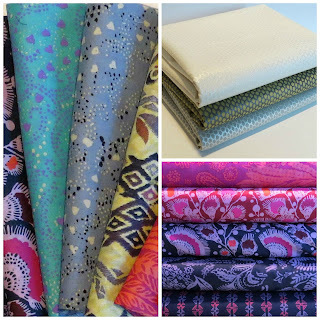 New in at Sew Me A Song are Shimmer by Jennifer Sampou and Bright Heart Voile by Amy Butler. Hi, I have been searching round fabric shops as part of my new up-cycling hobby. Can I ask a question (hope it doesn't sound too silly) whats the difference between a fat quarter and a patch/square? Thanks. 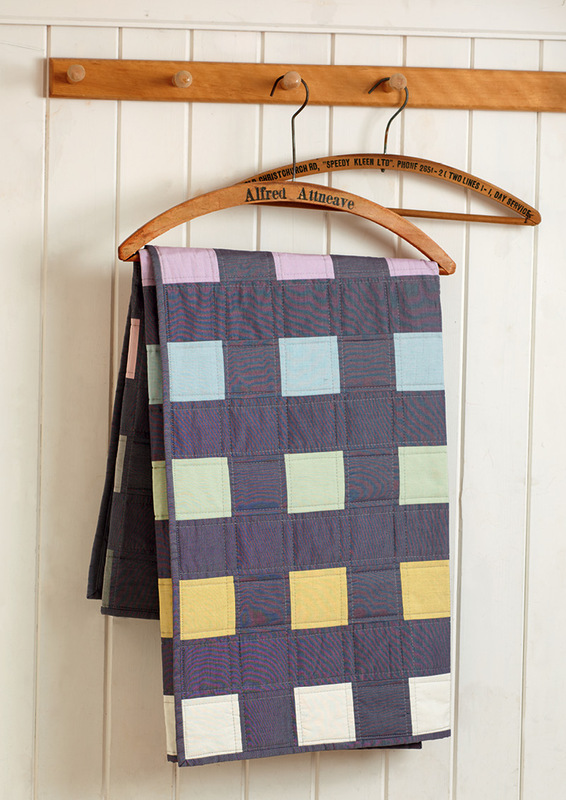 I love your quilt for LPQ! I have been quilting for over 10 years and believe it or not, I have never really paid attention to fabric lines. In the past year, my interest continues to grow and broaden. 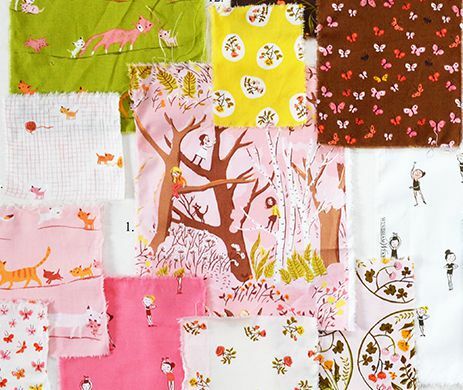 There are so many beautiful fabrics. The Forest Fellows is adorable, I would certainly love to have this collection. Shimmer and Bright Heart also caught my attention. Thank you for sharing and have a wonderful creative day!